Learning a new language in today’s day and age is much easier than it has ever been before. Now that we live in an increasingly globalised and interconnected world, being able to speak multiple languages makes you infinitely more valuable to potential employers. For companies who maintain overseas operations, they will always be on the lookout for people who are able to act as liaisons between different locales. The Arabic language is a fascinating one, it is also one of the most widely spoken languages in the world. Learning Arabic won’t just look great on a CV, it will also be a worthwhile learning experience. Now that learning a new language is so easy, if it is something that you have an interest in then you should pursue it. 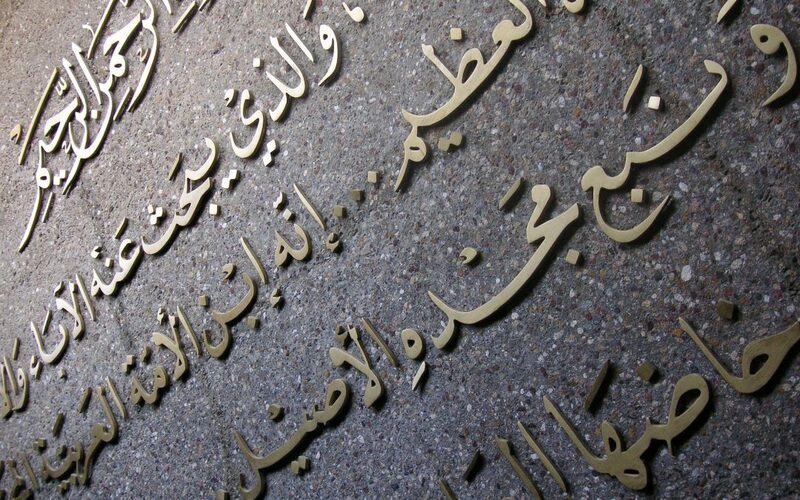 In this article, we take a look at the various options available for those looking to learn Arabic and the advantages and disadvantages of each. Audio courses are available in a number of formats. Traditionally they have been cassette or CD based, but now there are mp3 and other digital download formats which can then be listened to from a smartphone, tablet, or laptop. Audio courses are an excellent way of learning conversational Arabic. The advantage of an audio course is that, because you hear the language being spoken, you can perfect your pronunciation. Some audio courses come with an accompanying book so you can see how the language is written as well as spoken. If an audio course doesn’t come with an accompanying guide, then it will be more difficult to gain insight as to the relationship between the written and verbal language. Books are one of the oldest ways of learning a new language, they allow you to see how the language is written and, by rendering the text phonetically, how it is spoken. Arabic is more complex than most languages because it uses its own character set for an alphabet. Learning Arabic from a book allows you to learn at your own pace and makes it easy to refer back to previous material. Books are a great starting point for a more in depth understanding of the language. You can find courses and lessons to learn Arabic in a number of places. The internet can hook you up with the right groups and services and will show you what is available in your area. Learning Arabic from a tutor such as Omar Nassra, or someone with experience, is the best method as you not only have instruction from a qualified individual, you will also have a human point of contact, someone you can ask questions to and who can respond to your individual needs. Research any courses beforehand to make sure that you sign up for one of the best Arabic language courses. There are a great variety of learning resources freely and easily available online. These come in a variety of mediums and by combining different resources, it is possible to get the best of all worlds by using online services. You can not only find written resources similar to those that you would find in a language book, there are also video and audio demonstrations that make it easy to hear how the language is spoken. There are also now a number of universities and other educational institutions which offer video tutorials, lessons, and access to university lectures. There has never been a better time to learn the Arabic language, it will not only greatly increase your value to potential employers, it will also give you a new and in depth understanding of the Arabic language and culture.